Welcome to the website for our show dogs under our affix ‘Conchur’. The kennel started in January 2013 between Marc Smith, Lee Connor and his mother, Lorraine Sorrell. We chose the name ‘Conchur’ as it’s an old Irish variant of Lee’s surname and translates as ‘lover of hounds’. We all share a keen interest in dogs. Lee and Lorraine have owned many dogs over the years including 7 Dachshunds, 2 Rottweilers and a German Shepherd and Lee has always been a regular visitor to dog shows. He was a Dog World columnist and blogger, a cartoonist for Dog News USA and a guest writer for other publications in Australia, South Africa and Canada. 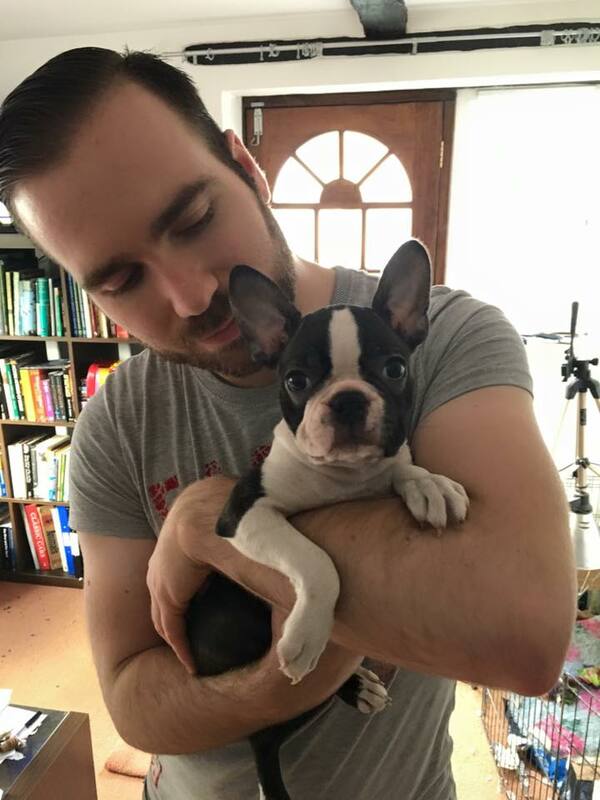 After Dog World and Dog News went into administration, he started to write for top US magazine Canine Chronicle and, more recently, has started writing for the UK’s newest dog magazine, Edition Dog. Marc is an accountant by profession but decided to take up the hobby in his spare time. He is also an aspiring judge and carried out his first appointment in March 2015. 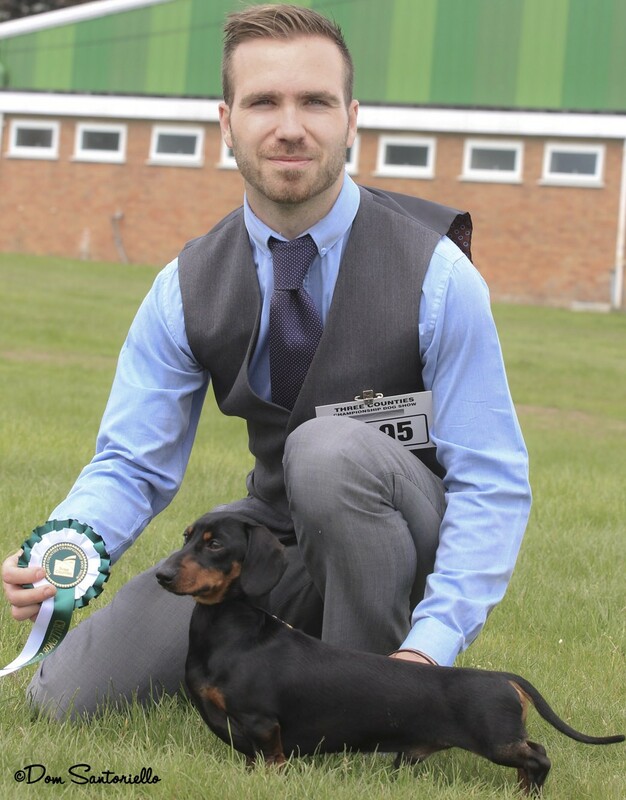 Marc is now on B-list (breed specialist) for Dachshunds, having judged his first non-CC appointment in 2017, and has also judged Boston Terriers at open show level. Our first show dog was a Miniature Smooth Dachshund, Alfie (Ch Bronia Gregorio JW ShCM), who was bred by Fran Mitchell, a breeder who has made up over 50 UK Champions. Alfie began his show career in May 2013 and recently became a UK Champion at the Three Counties Championship Show in June 2014. 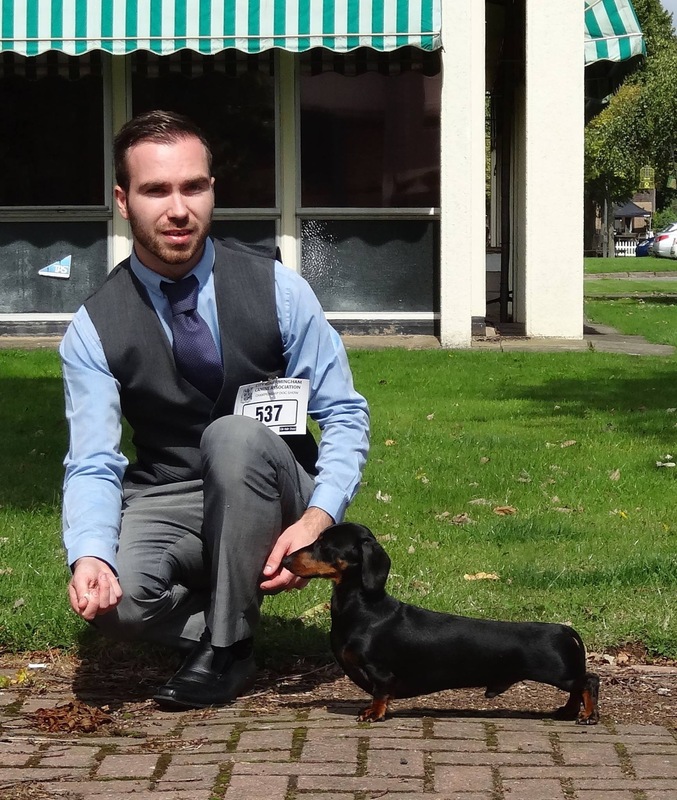 During that time he became the first Miniature Smooth Dachshund to win a Hound Group since 2009 and to date remains one of only two dogs in his breed to achieve this level of success. Since then Alfie has also branched into the world of celebrity having been selected as the new star of Vitality’s adverts, as well as producing lovely puppies for those breeders who use him. 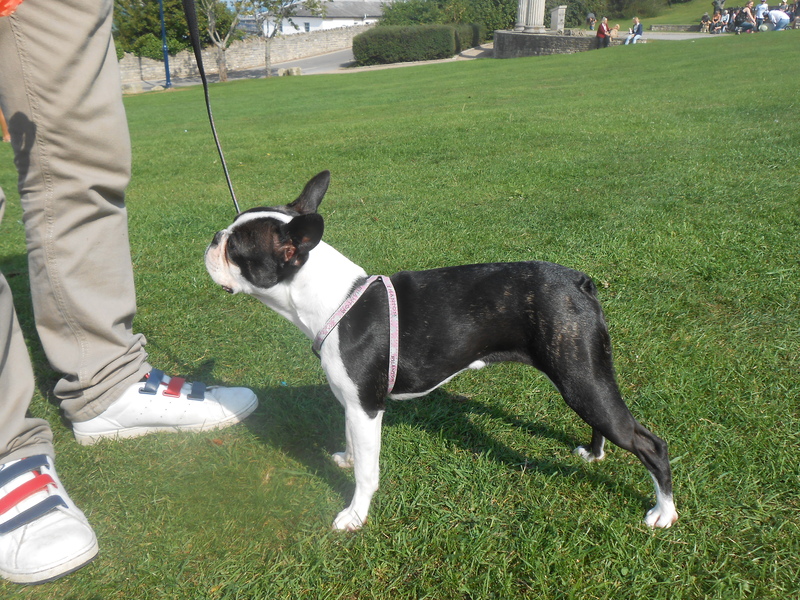 In May 2014 we also introduced Lola, a Boston Terrier, to our home. She is also the first dog to bear our affix: Hanaland Bette Davis at Conchur. 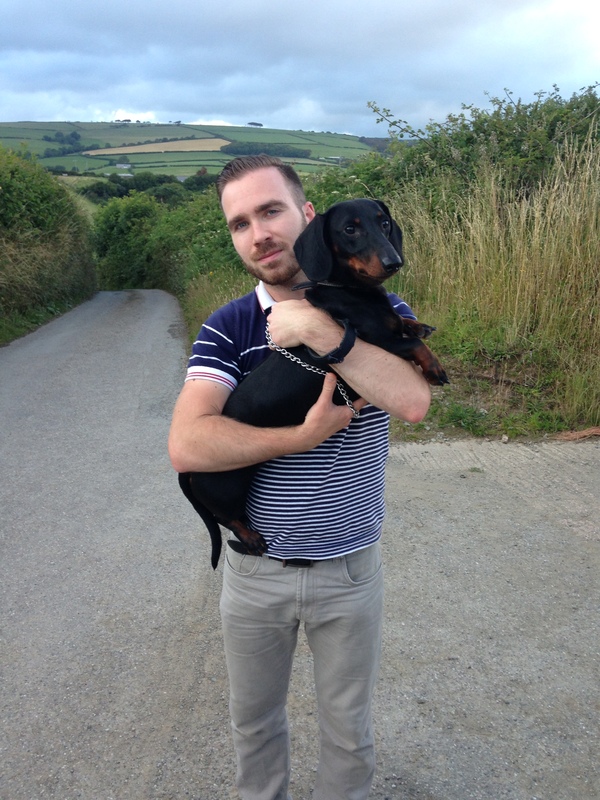 In September 2014 we welcomed home Bodie (Wanderhund Fiach Dubh at Conchur), our first Standard Smooth Dachshund. Bodie’s name originates from the Irish for ‘raven’. In January 2015, after many months of waiting patiently, we travelled to and from Holland to collect a very special puppy – Reba (Lady Godiva v.d. Mibaf’s Hoeve at Conchur). She’s our second Standard Smooth Dachshund and is 6 weeks younger than Bodie. 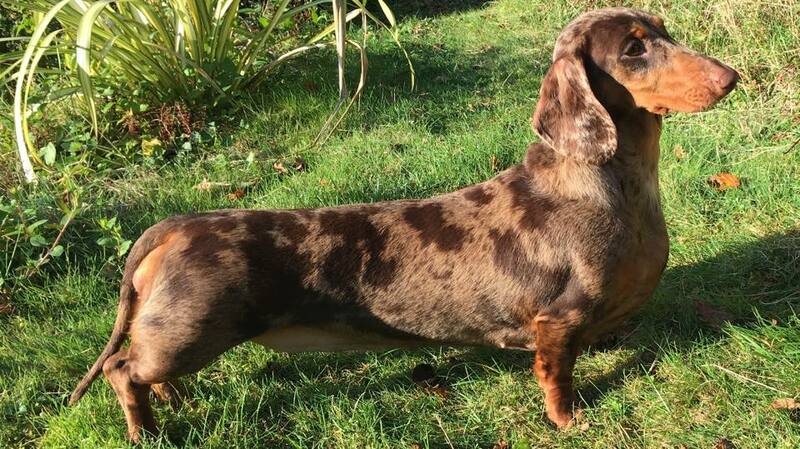 She is a chocolate dapple and we believe the first in the country for a number of years – they were last seen in the show ring quite some time ago. Now over a year old, she has already enjoyed success in the show ring and we look forward to campaigning her throughout 2016 alongside Alfie. In August 2015, Lola gave birth to our first litter of Boston Terriers. We instantly fell in love with the only girl from the litter and decided to keep her. She’s had a good start to her dog shows during March 2016 so Look out for more of Pebbles in the show ring. 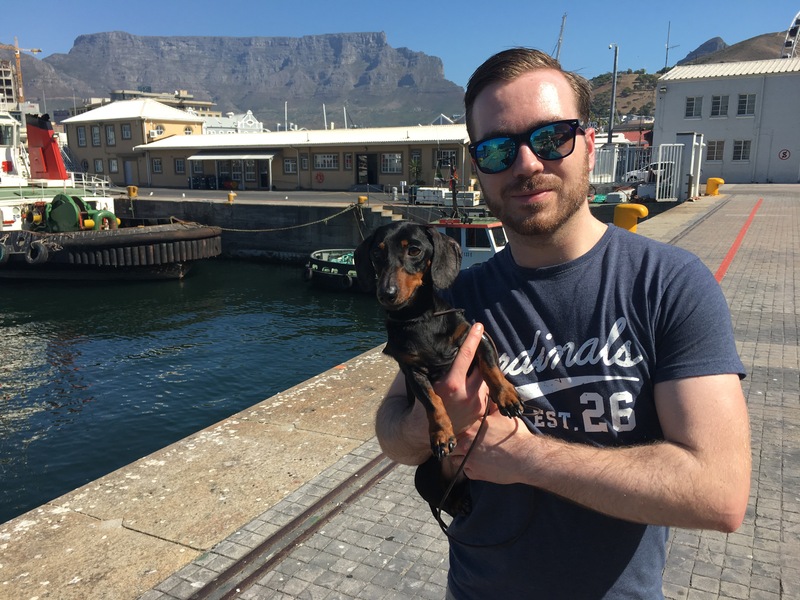 Also during March 2016 Alfie had another Vitality advert to film – this time in Cape Town – and these will be aired from the end of April on ITV and Ch4. In December 2017, Reba gave birth to a stunning litter of puppies and we didn’t hesitate to keep the only dappled male from the litter…Otto.